Found 331 blog entries tagged as "10307". Friday, January 4th, 2013 at 3:21pm. Brookfield Landfill being the one in Staten Island. In the five boroughs, there were eighty-two project proposals proposed for the program. Annadale Green, puts itself in the middle of Annadale's commercial town center. Monday, June 18th, 2012 at 3:03pm. ious beliefs, as the prominent religion at the time was Roman Catholicism. At some point prior to 1706, a James Sigin had fled from France to Staten Island. Over the next couple of centuries, his descendants became some of the most prominent people amongst the Staten Island residents. Monday, June 11th, 2012 at 10:01pm. Tottenville Shore Park is located on the South Shore of Staten Island, in the neighborhood of Tottenville. This park is made up of three different sections of the Tottenville shore line. 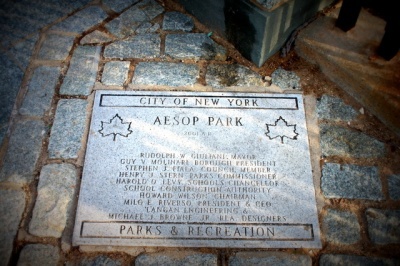 The main section of this park is located on Hopping Avenue. It runs from Hopping Street to the Raritan Bay and is between Patten Street and Arthur Kill Road. 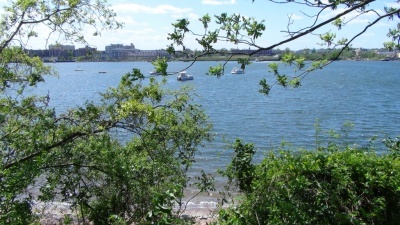 The other two sections of Tottenville Shore Park are divided by Bentley Street and bordered by the Raritan Bay. The first of these two is right on the water and has Arthur Kill Road as a third border. The second of these two is a smaller patch of land which is bordered on its remaining sides by houses. Sunday, May 13th, 2012 at 8:34am. You may recall the reasoning behind the naming of the neighborhood Tottenville, if you have read the historical information we have provided you with on our website. 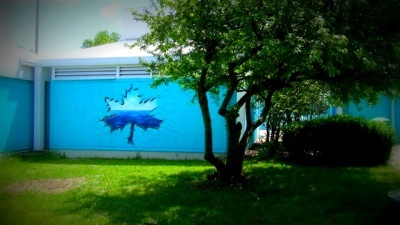 The neighborhood was given its name because of a post office which stood in the area. In 1861, it was given the name Tottenville Post Office, after the first postmaster, John Totten. There were two factors in giving the neighborhood the name of Tottenville. First of all, the post office served the neighborhood. Second of all, the Totten family had grown to be quite prominent on Staten Island. Monday, April 16th, 2012 at 10:16pm. Saturday, March 10th, 2012 at 7:55am. The Outerbridge Crossing. New York State's southernmost bridge. Tuesday, November 8th, 2011 at 2:07pm. On April 30, 1921, the Port of New York Authority was established as a bi-state authority between New York and New Jersey. Two years later, the port had announced that two bridges would be constructed under their authority between Staten Island and New Jersey. The bridges would connect northwestern Staten Island with Elizabeth, New Jersey and southwestern Staten Island with Perth Amboy, New Jersey. The bridge gave Staten Island's South Shore Residents and commercial business access to New Jersey, which would ultimately lead to demise of Tottenville to Perth Amboy Ferry in the 1950's.Today, the ferry terminal is abandoned, but still intact at the foot of the Tottenville Train Station. Saturday, October 1st, 2011 at 11:24am. The Featured open house on 20 Seacrest Ln. in Tottenville, Staten Islandwill be hosted by Kerry DeBellis, Licensed Sales Associate with RealEstateSINY.com. Seaside living with pool amenities at a great price. This two bedroom townhouseis located only several blocks from the shoreline of Raritan Bay. Not to mention you have use of an Olympic size pool which is part of the private club. 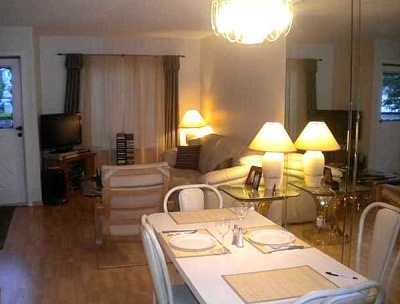 Outside common areas are completely maintenance free and the home comes with private parking. Wednesday, September 7th, 2011 at 12:17pm. In 1910, 489 Page Avenue was built with a living space of 1870 square feet on 18408 square feet of land. It is a one-family home that was publicly recorded as sold for $450,000 on 3/24/2005. This home is located on block 7764, lot 41, and is in the neighborhood of Pleasant Plains, Staten Island, 10307. Monday, August 1st, 2011 at 10:07pm. 222 Johnson Avenue is a two-family home located on block 8047, lot 86, in the neighborhood of Tottenville, Staten Island, 10307. In 1925, it was constructed with a living space of 1748 square feet on 9331 square feet of land. On 8/29/2005, it was publicly recorded as sold for $583,000.